Care for chronically ill patients represents the most expensive segment of Medicare, with more than 93% of spending going to those with multiple chronic conditions. And with more than 171 million Americans estimated to have one or more chronic condition by 2030, according to a Rand Corporation1 report, the cost of chronic care management will continue to impact the nation’s healthcare spending. The need for effective chronic care management is growing, but how can overbooked physicians handle these patient encounters (and reimbursement issues) with finite resources? Physicians must consider outsourcing chronic care management if providing such care by the practice is not feasible. It’s no secret that bandwidth is an enormous challenge for everyone. Between fulfilling the requirements of Centers for Medicare & Medicaid Services (CMS) programs like the Medicare Access and CHIP Reauthorization Act of 2015 (MACRA), meeting the day-to-day obligations of clinical documentation, coding and revenue cycle management, most physician groups are already at capacity when it comes to juggling regulatory and administrative responsibilities. Can the practice consistently and appropriately meet all compliance requirements? Which path would provide the best patient outcomes at the most efficient cost? 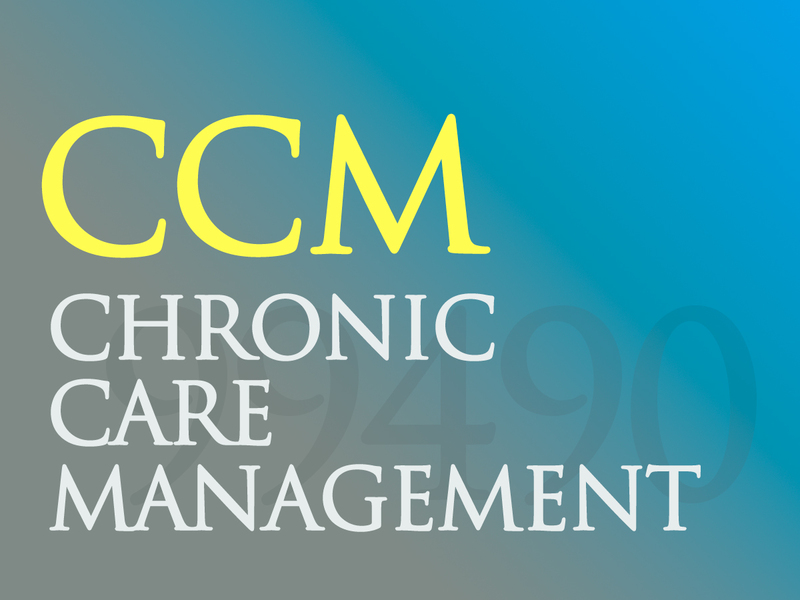 Among the requirements outlined by CMS for chronic care management is a 20-minute minimum of non face-to-face care coordination and management with each patient per month. Given this mandatory 20-minute consultation for each patient, and considering that most patients require more than 20 minutes per month, the time requirements can quickly add up in large patient groups or facilities. With a Medicare patient population of 300 per provider (national average), 66 percent of those having two or more chronic illnesses, and a conservative 25 percent enrollment rate, if each physician were to spend only 20 minutes per patient, then a practice would require more than 16 hours of additional staff time per month just on the consultations. In addition, a practice must consider the additional time required to meet the program’s documentation and billing requirements. Since compliance is essential for reimbursement, meeting the care plan creation and time stamping elements may require further investments in technology and additional staff. A chronic care management service provider would be able to facilitate Medicare’s requirements and provide services to assist with comprehensive care plans, care coordination and helping patients become more engaged with their provider. In any case, outsourcing puts far fewer requirements on the practice’s current medical and administrative staff. Although outsourcing doesn’t absolve providers of all obligations, it gives them more time to serve patient needs and focus on improving quality metrics and patient experience. Before deciding whether to build in-house or outsource a chronic care management program, providers must determine if costs associated with hiring new staff and training would outweigh vendor costs against potential revenue, and which method would improve patient care the best. Hiring new staff to call patients with chronic conditions is an option, assuming that proposed revenue will offset any additional payroll expenses. However, given the current nationwide nursing shortage and number of staff needed to manage a large Medicare population, this would not be a beneficial business model for many practices. Internal structures could also be influenced by changes in a chronic care management program itself. If CMS decided to fundamentally overhaul or sunset the program, provider organizations with new resources would likely face negative consequences. Compliance with the chronic care management program requirements is essential for reimbursement, and meeting them on a practice’s own requires significant investment in new technology and staffing—or practices can work with a trusted vendor to provide such services.